A tour designed especially for students. See jousting knights and eat lunch in one of the world's largest McDonalds. Enjoy dinner at the Hard Rock Café. See Baltimore from land and water all in the same vehicle. Explore the National Aquarium. 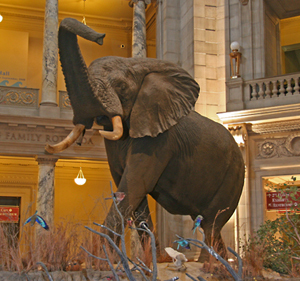 Tour the museums of the Smithsonian Institution. Visit famous monuments, memorials, and buildings. Learn about Spies! Enjoy an IMAX Theatre production. This and more await you on this fun trip to Washington, D.C. and Baltimore. · Professional uniformed security guard on duty at the hotel each night (upon request).